At Vanity Fair tells the story of Bunyan's powerful metaphor, exploring how Vanity Fair was transformed from an emblem of sin and persecution into a showcase for celebrity, wealth and power. 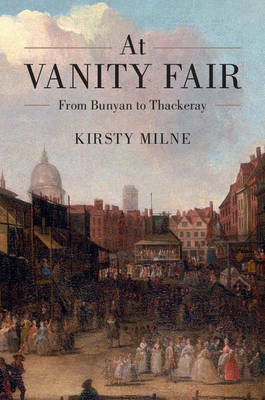 This literary history, focusing on reception, adaptation and influence, traces the fictional representation of Vanity Fair over three centuries from John Bunyan's masterpiece, The Pilgrim's Progress (1678), to William Makepeace Thackeray's own Vanity Fair (1847-8). It explores the influence of anonymous journalists and booksellers alongside well-known authors including Ben Jonson, Samuel Richardson and Thomas Carlyle. Over time, Bunyan's dystopian fantasy has been altered and repurposed to characterise consumer capitalism, channelling memories that inform and unsettle modern hedonism. By tracking the idea of 'Vanity Fair' against this shifting background, the book illuminates the relationship between the individual and the collective imagination, between what is culturally available and what is creatively impelled.